I hope your week is off to a great start after the holiday weekend! James and I were lucky enough to have both Thursday and Friday off, in addition to the weekend, which we don’t take for granted. It’s common to work holidays in the news business, so in years past it’s been rare for us to be off at the same time and able to celebrate together. It was such a luxury to spend some time with both of our families over the past few days. The celebrations started with a trip to James’ hometown on Thanksgiving morning. We spent the day with his parents and family friends eating a delicious spread of food and catching up. I cooked the least I’ve ever cooked for Thanksgiving this year, which was a nice change of pace! 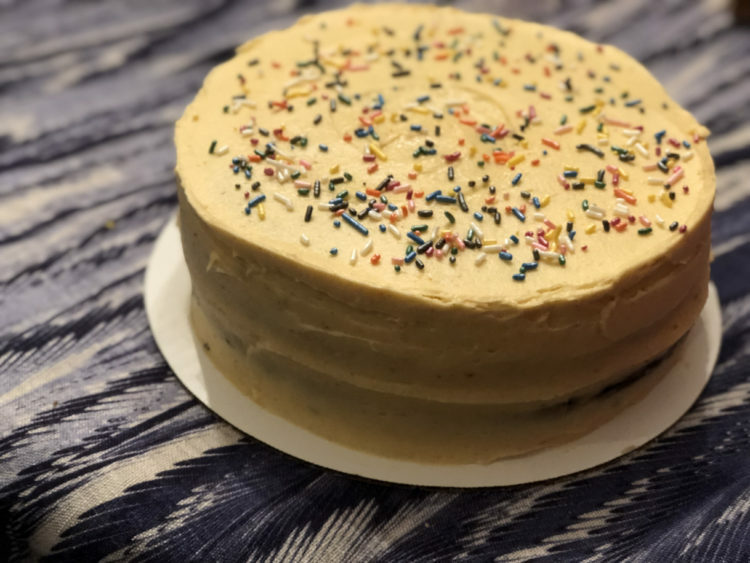 I made a double chocolate pumpkin cake for dessert, which is one of my favorite indulgences. I also made a homemade sugar cream pie to drop off at the hospital where my mother-in-law works. It’s never fun working a holiday, so I hoped it would help brighten the staff’s day. I failed at taking pictures of our spread this year, but everything was delicious! I’m always more into the sides than the actual turkey on Thanksgiving. This year my favorites were the corn casserole and green beans — I went back for seconds of both. After an afternoon of visiting and eating, we headed back to James’ parents’ house. I spent the evening finally finishing the book I’ve been reading for more than a month. It was the perfect, relaxing end to Thanksgiving. We got up early Friday to hit the road to my parents’ house in Illinois. We arrived to a house full of energy! My cousins were visiting with their two kids from Ohio, so my sister brought our niece and nephew over to play for the afternoon. We gave the parents the night off from cooking. I made a big batch of lemon chicken, roasted potatoes and prosciutto-wrapped asparagus. It was fun to catch up with the adults over dinner and play with the kids afterwards. 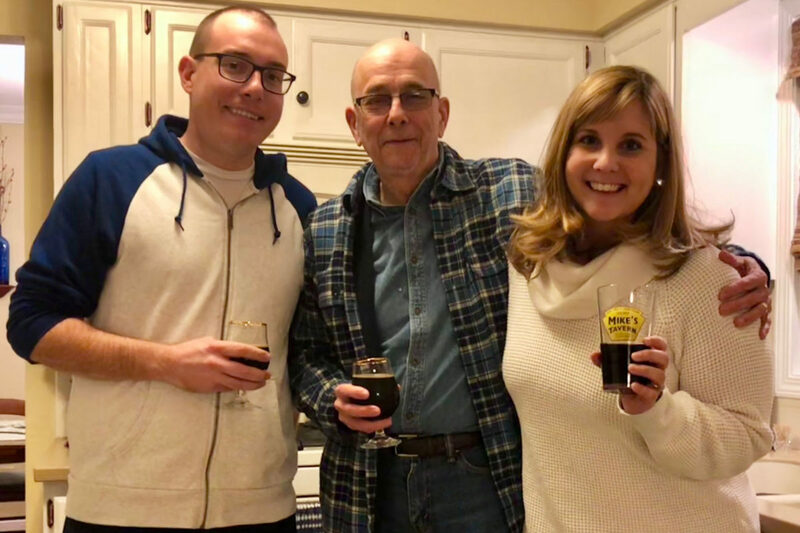 My parents arrived home from a trip to Portland Saturday, which gave us the perfect opportunity to celebrate my dad’s birthday. He and his older brother are three years apart, but were born on the same day. They decided to celebrate together in Oregon this year, and their birthdays happened to fall on Thanksgiving! 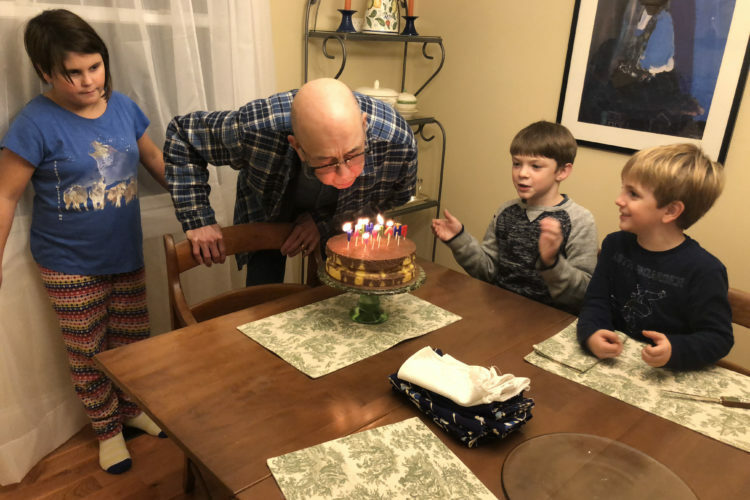 We had a laid-back, belated celebration in Illinois that involved us serenading my dad before digging into some cake. James and I also brought some special beers to enjoy with my dad once the kids went to bed. Our favorite was Mail Order Bride from Bare Hands Brewery in Granger, Indiana. It was one of our go-to places for beers when we lived in the South Bend area, so we’re thrilled to see Bare Hands distributing further south in the state! Before we knew it, it was time to hit the road and make the trip home to Bloomington Sunday. We’d been talking all weekend about getting our first real Christmas tree together and made a spur-of-the-moment decision to pick one up as soon as we got into town. My family always had a real Christmas tree when I was growing up, but James hasn’t ever had one. 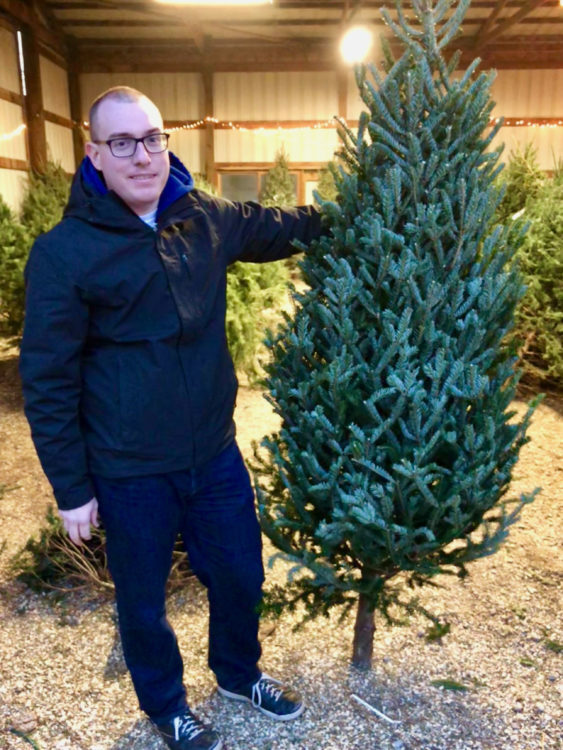 He agreed to give the real thing a try this year, so we went to Twin H Tree Farm and picked out a Frasier Fir. The tree farm was adorable! 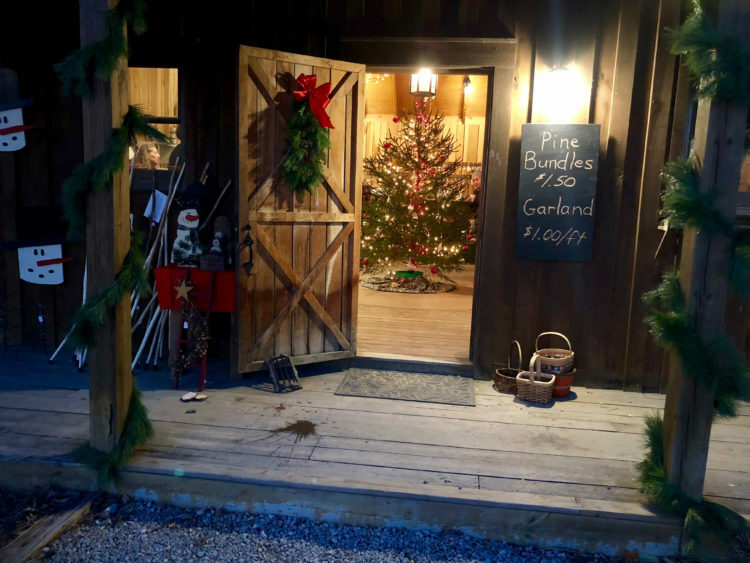 It has a little shop with free hot chocolate, cider and popcorn you can enjoy while searching for the perfect tree. We were in and out within 45 minutes. Now we just have to let the branches settle for a day or two before we deck it out! I’m always in full-on Christmas mode as soon as Thanksgiving is over, so it’s taking all of my willpower not to just start putting the lights and ornaments on tonight. It sounds cheesy, but I get so excited for this time of year because of the spirit it brings. The season is centered around spending time with the ones you love and giving back, which are two things that are very close to my heart. There’s so much to look forward to over the next few weeks! What are some of your favorite holiday traditions? Tell me in the comments below!